The Colorado Women in Manufacturing association’s first Manufacturing Woman of the Year award has named Heidi Hostetter as a finalist. The other finalists include Marcia Coulson, Eldon James; Erica Easter, Easter-Owens; and Mickele Bragg, Geotech Environmental Equipment. The 2nd annual Colorado Manufacturing Awards recognizes exceptional companies and people leading the modern manufacturing economy. This year’s theme is Innovation in Product Manufacturing. Three finalists in nine industry categories and the supply chain are competing to be named a Colorado Manufacturing Award Recipient. Companies will also be recognized for Innovation in Supply Chain, Large-company Skunkworks, and an outstanding Woman in Manufacturing. Join us to recognize and celebrate Colorado manufacturing by showcasing process and systems innovation in small-to-middle market manufacturers and divisions or departments of enterprise-level companies. 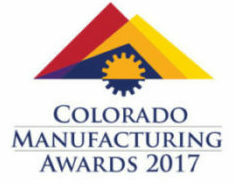 The winner will be announced at the Colorado Manufacturing Awards the evening of Thursday, March 13, 2017, hosted at Denver’s The Art Hotel.